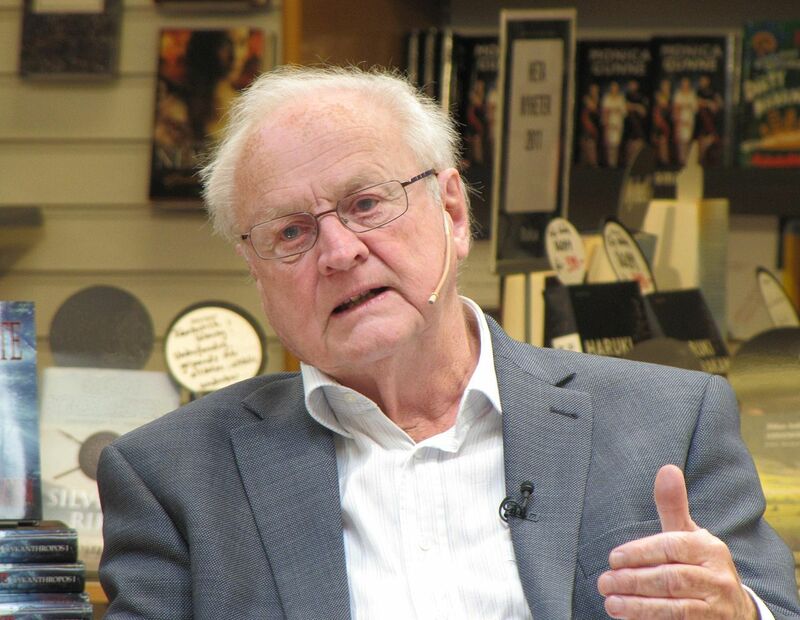 Swedish pharmacologist and Nobel laureate Arvid Carlsson giving a lecture at the 2011 Göteborg Science Festival. By Vogler, released under CC BY-SA 3.0 on Wikipedia. Dopamine is probably the most investigated brain substance. Tens of thousands of researchers are owing their career to this small molecule. And quite a few non-scientists, too. The chemical rose to partial notoriety after several studies linked it to the Parkinson’s disease in the 60’s and but its true fame came a decade later when dopamine’s role in pleasure and addiction became apparent. And yet not so many years before that, not only nobody thought of dopamine as a central player in the neuronal chemical waltz, but even after it was shown that it is a neurotransmitter, few believed it and the authors of those studies were a mark for ridicule. The main author, Arvid Carlsson, was finally vindicated 50 years later when he was awarded the Nobel Prize in Medicine (2000) for showing that dopamine is not a just a precursor of adrenaline and noradrenaline, but also a neurotransmitter in its own right. The work barely covered more than a column in Nature, in 1957. Basically, he and colleagues did a series of pharmacological experiments where they injected rabbits or mice with known antipsychotics and antidepressants and various monoamine precursors. And then observed the critters’ behavior. The crux of the rationale was (still is in the pharmacological experiments): if drug X modifies behavior and this modification is reversed by drug Y, then drug X and Y interact somehow either directly or have a common target. If not, then they don’t and some other substance, let’s call it Z, is responsible for the behavior. If you go and read the actual paper, for the modern neuroscientist that has been uprooted from his/her chemistry classes, remember that 3-hydroxytyramine is dopamine, 3,4-dihydroxyphenylalanine is L-DOPA, and y’all professionals should know serotonin is 5-hydroxytryptamine with its precursor 5-hydroxytryptophan. Posted on October 19, 2015 August 10, 2016 by NeuronicusPosted in 1957, Firsts, Molecular NeuroscienceTagged Arvid Carlsson, dopamine, Firsts, neurotransmitter. Previous Previous post: Making new neurons from glia. Fully functional, too! Next Next post: Have we missed the miracle painkiller?